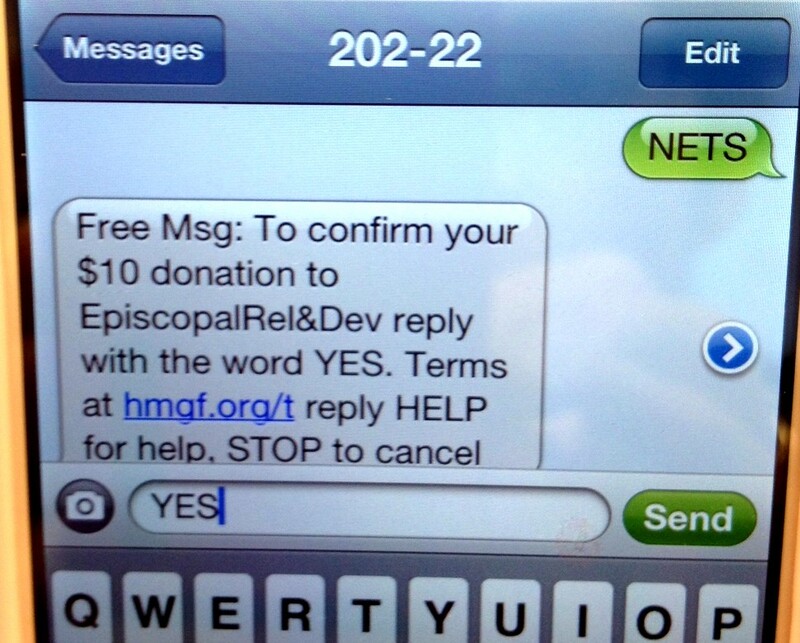 Mobile giving and mobile donating are two ways technology is changing nonprofit fundraising and communication. Communicating and giving are now happening via text and mobile devices. From a traditional fundraising perspective there are a few things to consider in regards to data collection. “With mobile giving the only contact information the organization receives is the donor’s cell phone number. That can be a deal breaker for organizations who want more information. But you do have options: you can continue to communicate by text, or you can seek to drive people to a mobile donate page where you can collect more information. Because mobile donate uses credit cards you can collect the information you want via the mobile form. Everything collected is transmitted into the organization’s existing credit card processing system. 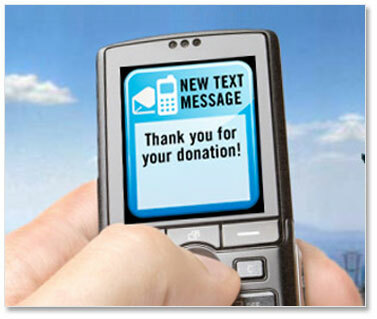 A mobile donate program builds on your current online giving program. It integrates with your current credit card processing and data management systems. If you don’t yet have these in place, it may take more time, effort and resources to get set up with a mobile donate program. But you can start with mobile giving (giving by text) and then move to a mobile donate program. Here’s Asheim’s bottom line, “Everyone needs a mobile strategy. Not having one is like saying, ‘I don’t have a web strategy.’” Here’s our bottom line: Your mobile strategy is an important part of a larger fundraising program. You still need a marketing and communications strategy that inspires people to give with their phone or device. There are no short cuts in fundraising. Times have changed: has your nonprofit? People use their cell phones day and night. Many use iPads or other tablets. Gone is the phone booth, and for many, gone is the checkbook. Communication and financial transactions take place online , in real time, while people are on the move. It’s all about being mobile. “To see an example of mobile donating send a text to 56512 and enter the key word GIVENOW. See what happens! You can make a gift with your cell phone by texting the word CALL to have a rep call the donor to collect a pledge, or you can make a gift right now by following the link. Typical mobile donate gifts are around $100, but some organizations are finding people will give more, depending upon their interest and capacity. 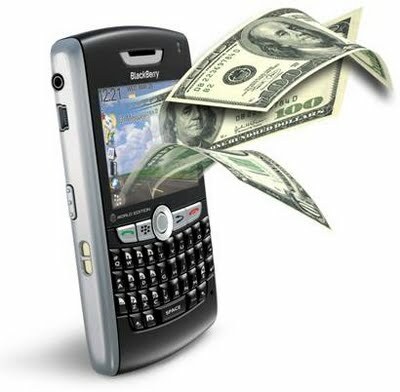 Many will give the same amount using their cell phone or mobile device as they would by check or via their laptop. Next post: technical details on mobile giving. Learn more at www.givebycell.com. Life has gone mobile. For many, life is lived on the move and cell phones and mobile devices are our guides helping with communication, directions, purchases, music, news updates, videos and more. “Mobile” has become the way much of America is using their computer. iPhones, Androids and BlackBerries are replacing laptops and desktop computers. Tablets and mobile phones are replacing the way that people access the information when they are on the road. Think Amazon.com, Zappos, your airline…. People use their mobile phones and tablets hundreds of times a day. They have made the leap and many – especially younger people – expect the nonprofits they support to have user-friendly technology. Consumer-based businesses have made the shift. Now it’s time for the non-profit sector to do the same. Ask yourself, your staff and your board members the following questions. How quickly and easily can people give to your nonprofit? Do they have to write a check? Fill out a form and send it in? Can they give in the moment? At a football game, concert, conference, or while in church? Can people use their cell phone or mobile device to give now, or do they have to wait and make the gift later? While large gifts are made after careful consideration, many gifts are made as an emotional response to a well-orchestrated call to action. If you miss the emotional moment you miss the gift. Your guests start texting and they immediately receive a link to your mobile giving page – or better yet, a mobile giving page customized for your gala. They enter their information into the page and their gift is made. On top of that a thank you note is automatically generated and sent out right away. Done! Compare that to the traditional “envelope ritual”: envelopes are set out for people to use for their gift or pledge. Ideally a check goes check inside. Maybe they write a note – “will give $100.” If supporters are daring, they will write down their credit card number so staff can run the card after the event. But, very few people carry checkbooks anymore. So the emotional moment is lost and the actual giving of the gift is delayed and may, or may not, ever occur. Bottom line: Nonprofits need to adapt the most commonly used tools to connect and engage supporters. It is simply part of today’s capacity and infrastructure. And it is directly tied to nonprofit communications and fundraising. Next post: details on mobile giving – our conversation with David Asheim, CEO of Give by Cell. 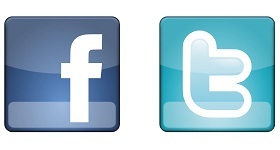 In the world of Facebook and Twitter we sometimes forget the value of the trusted website. Can’t we say it all in 140 characters? Or a photo? Will the website go the way of the covered wagon? We were at the Alliance for Nonprofit Excellence Conference “Powerful Networks: Nonprofits, Social Media & Community” this week and attended John Kenyon’s workshops. He set us straight. Kenyon is the Educational Program Manager for the Nonprofit Technology Network, NTEN (www.nten.org). He opened with the basics, asking “What are the search terms someone would use to try and find your organization if they didn’t know you exist?” Good question. Write down the phrases. Google them. See if your organization comes up. As you add content to your website be sure to include those phrases (in a natural way!). Here are a few more tidbits: When you are conducting a fundraising campaign make sure it is highlighted on your homepage. Every page on your website should have two items: a Donate Now button and a Subscribe button. Ask everyone you communicate with “What is your preferred method of communication?” Then act on that information. For people who like e-communication, go that route. For those who want to receive a print copy of your newsletter, get one to them! The last tidbit: four things your website should do: build credibility and engage; cultivate; provide “clickability” or interactivity; and provide regularly updated content. Finally, let us close with our new favorite quote, “Don’t make me hunt for it!” Kenyon emphasized that all sites must have a search function. Again, on every page! We must admit to being number one offenders. John poked fun at us, saying “Your site and blog are so content rich, but how can anyone find what they are looking for??!! ?” Our take away: we are getting search buttons for our website and blog. Ah, we all have something to learn! You can reach John at john@nten.org or follow him on twitter @jakenyon.